How would you feel if we tell you that there is a much simpler and easier way to clean the place you are leaving than doing it yourself? Forget all the scrubbing, vacuuming, windows cleaning, floor mopping and so on. 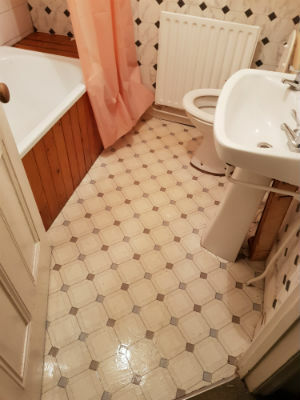 Here is the most tempting offer for an End of Tenancy Cleaning Services, and we will gladly tell you a little bit more about it. We understand how important the cleaning of a home is, so we learned a lot of tricks in achieving the best results. Our company works in the area of Battersea and we offer a good package of Cleaning Services to all of you who experience trouble in doing it. We know money is important for you and you do think when spending it. So we decided to put reasonable prices on our services. This way our Professional Cleaning Services are convenient to anyone who decides to ask for them. The plus side is that our prices, oftentimes are much lower than the deposit you paid some time ago. If anything, you are the winners in this situation. We, personally, have all the time in the world to spend cleaning the whole area of Battersea if we want, but we perfectly know that you have commitments, other than time for cleaning, and that your schedules can be really stressful sometimes. Because of that, we came up with flexible working hours that could perfectly fit in your free time. Our cleaning experts are able to deliver the best End of Tenancy Cleaning Service even when time is pressuring them and that leads us to the next reason. How many technicians should I expect? Depending on how big your property is, the number of technicians which will come and attend your property varies from two to five. The bigger the property, the more technicians will come and assist it. We ask the Client to keep in mind that this is done in order for us to complete the end of tenancy cleaning session as soon as possible. How do you determine your prices and should I expect any additional charges? The Client will receive a firm quotation upon booking our services. The prices are reasonable and determined on the basis of how big your property is. Our prices are tax- and equipment-included. As for additional charges, we assure the Client that they will not be imposed any surcharges. Do I have the carpet cleaned as well? 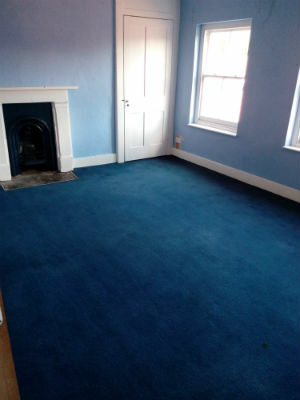 Unfortunately, carpet cleaning is not part of our professional end of tenancy cleaning services. Nevertheless, the Client can book our company for a carpet cleaning plus end of tenancy cleaning session – huge discounts are available. Are your services limited in terms of time? No, our end of tenancy cleaning service is not limited in terms of time. We will send a team of professional technicians who will not stop cleaning until they have performed a thorough deep cleaning of each corner in your property. How do you apply your guarantee? As the Client has been informed, our end of tenancy cleaning service comes with a 48-hour guarantee. After the cleaning session has ended, we will send a professional to inspect the way our technicians have performed the service. Should the professional find anything wrong, within 48 hours we will send a cleaning team to perform the service again. The re-cleaning session is completely free on part of the Client. We have the best teams and the proper equipment to deal with any cleaning task you have for us. The most valuable characteristic of our cleaning experts is that they work according to the time given, but they do it efficiently. If you book us, you will see it with your own eyes. Your old place in Battersea, Highbury or Highgate will look so clean that it will find its new tenants soon after our End of Tenancy Cleaning Service. We are proud that we can work efficiently with products and detergents that are nature-friendly and have no trail of chemicals. They are absolutely harmless to the interior of the property (that includes carpets, furniture, etc.) and your health. All of our professional cleaning experts are long experienced in the cleaning area and are absolutely motivated to do the best they can, in order to perform the highest quality of our services, especially in the case of End of Tenancy Cleaning, where there is a stake. They will come precisely at the time of the appointment and they will leave after the work is perfectly done. You can contact us on our phone, or you can write on our e-mail and get a respond, any time you want. You can get in touch even at the last minute, but we are always prepared and a last minute notice is not a problem for us. So, when time comes to move out, or if it already is, you are free to contact us anytime and ask for our End of Tenancy Cleaning Service. Our clients’ needs are the highest priority for us. We are going to do everything possible to achieve the perfect result. We are the best choice in Battersea because we have everything that you could wish for. We guarantee you the best and if you give us the chance to prove it, you will be more than happy.